One of my gripes about using Chrome OS is that it always felt a bit too much like a browser, so I wanted to treat it like one. While the entire behavior hasn’t changed, Google has today announced a UI update to the OS which makes things feel a bit more like a traditional OS so as to better work with your long-held behaviors. The update takes the Apps list keeps it in the bottom left, akin to the Windows Start menu, but the size of the list is now more compacted so that it’s not going to cover up whatever you’re looking at in the browser. It also adds a search box to the top of the Apps list so that you don’t have to open a browser window to start searching. Oh, and you’ll notice that it isn’t a stock picture there on the wallpaper. That’s because you can now set your own, just as you would in any other desktop OS. Also like other operating systems you’ll now have support for USB and HDMI audio. 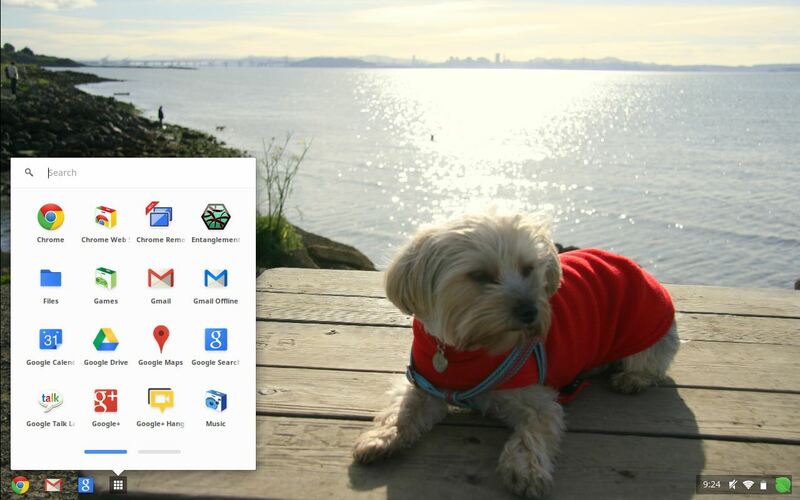 Finally, and most notably, Chrome OS now allows you to save files directly to Google Drive. If this sounds familiar, that’s because a big to-do was made when the dev channel announcement of this feature was released. The changes are welcome. Though I enjoy using my 1st generation Samsung Chromebook from time to time there have simply been some limitations that have kept it from being a viable, day-to-day machine. Updates like this bring things closer to parity between Chrome OS and other desktop systems, while still keeping the benefits of a cloud-based OS. In the market for a Chromebook? You can snag them from a few different retailers. Oh, and it’s not just Chromebooks anymore.